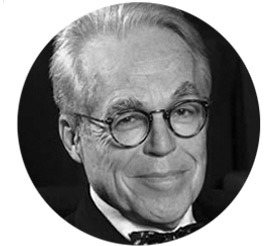 Dramatist John Guare was born in New York City. He has written more than twenty works for the stage, many of them comic, absurd or farcical. Muzeeka (1968) won him an Obie Award, and was followed by the breakthrough off-Broadway success of House of Blue Leaves in 1971. It would become one of his best-known works and won four Tony Awards for its 1986 revival. Six Degrees of Separation won the New York Drama Critics’ Circle Award in 1991 and the Olivier Award for Best New Play in 1993, the same year it was filmed with Stockard Channing, Donald Sutherland and Will Smith. Guare’s most recent play, Three Kinds of Exile, premiered in 2013.